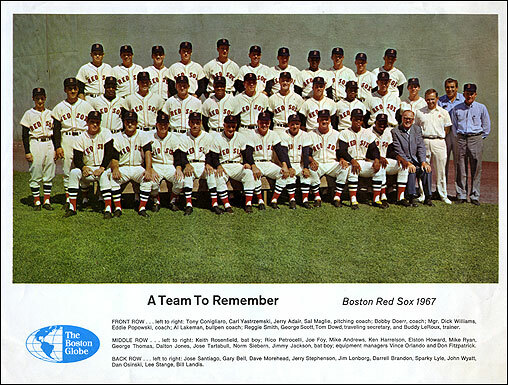 A Globe ode to the '67 Cardiac Kids includes audio clips from the "Impossible Dream" tribute album. Home run, upper deck, for Dalton Jones! It's truly a Sox smorgasbord when you can cap a win by Petey in the third game of the Series by listening to Jess Cain sing the praises of Carl Yastrzemski.